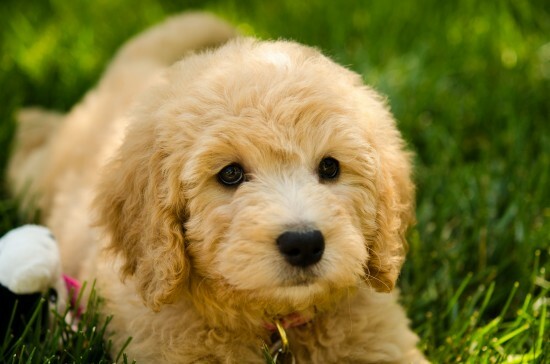 The Groodle, also known as Golden Poo or Goldie Poo is a wonderful Golden Retriever-Poodle hybrid, which got its name from its mixed heritage. It was deliberately bred to obtain a bigger allergy free pet and also because other smaller poodle crossbreeds, like Labradoodles, turned out great and were a success. 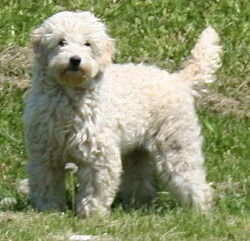 Breeders had great results with the Goldendoodle cross and the hybrid is now a favorite amongst big families. 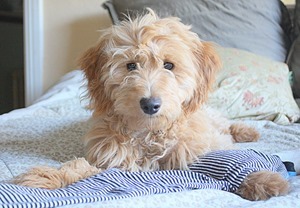 Goldendoodle’s appearance varies from individual to individual, but most of them are of medium size, between the size of a golden retriever and that of a poodle, and have a general look with characteristics from both breeds. 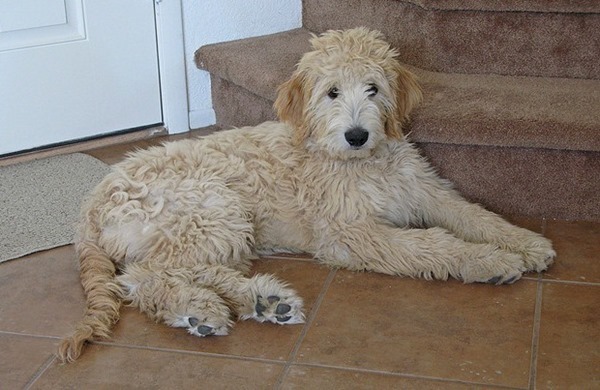 There are Groodles that resemble more a furry Golden Retriever and some that look like Poodles with wavy coat. Their coat is about 4 to 8 inches in length and it can be black, chocolate or gold, but common coat colors are also gray, cream, or variegated. 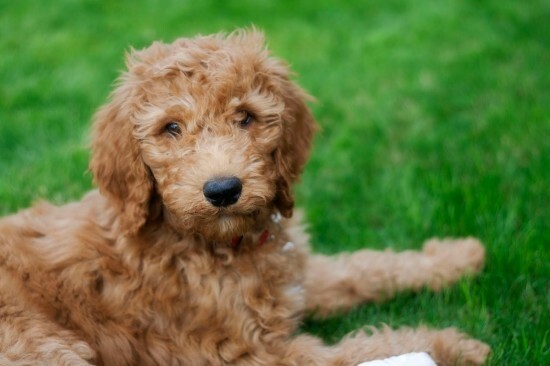 The most important characteristic for which the Goldendoodle has gained popularity is the low and even non shedding coat of these dogs that makes them very allergy friendly pets, suitable for people with moderate allergies. 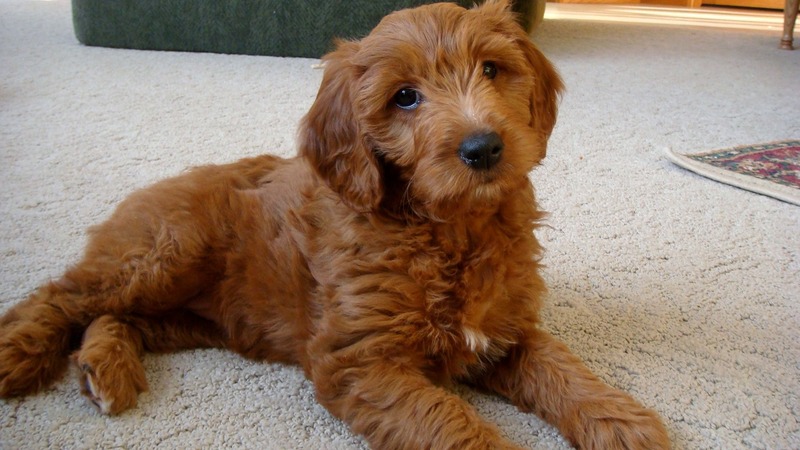 Although Goldendoodles are to be found mostly in standard or large standard sizes, you can also find miniature Groodles, if you’re looking for a smaller dog for your home. 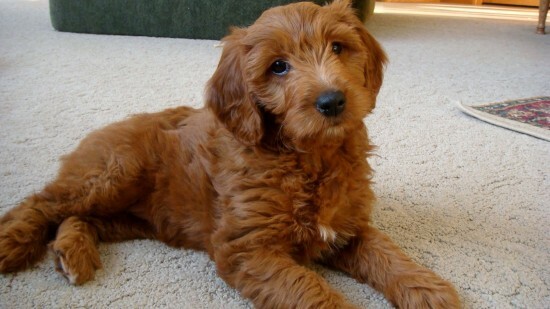 A mini Goldendoodle is the result of a crossing between a toy Poodle and a Retriever and is predicted to weigh 15-30 pounds in adulthood, making them an excellent companion for people in love with toylike dogs. 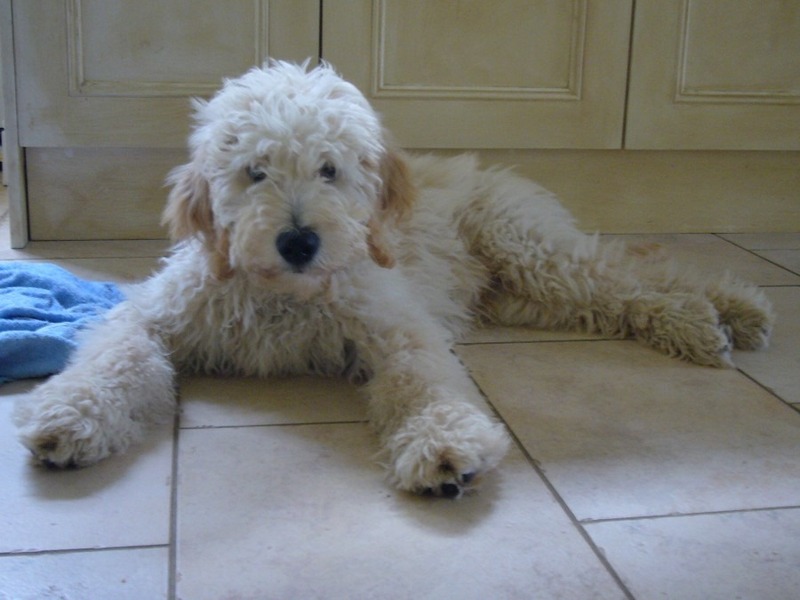 Small to medium or medium to large sized, you can find Goldendoodles of different weights and heights, depending on its origins. From a standard Poodle and Golden Retriever you get a Standard Groodle of over 45 pounds, weight that the dog will have upon reaching adulthood. 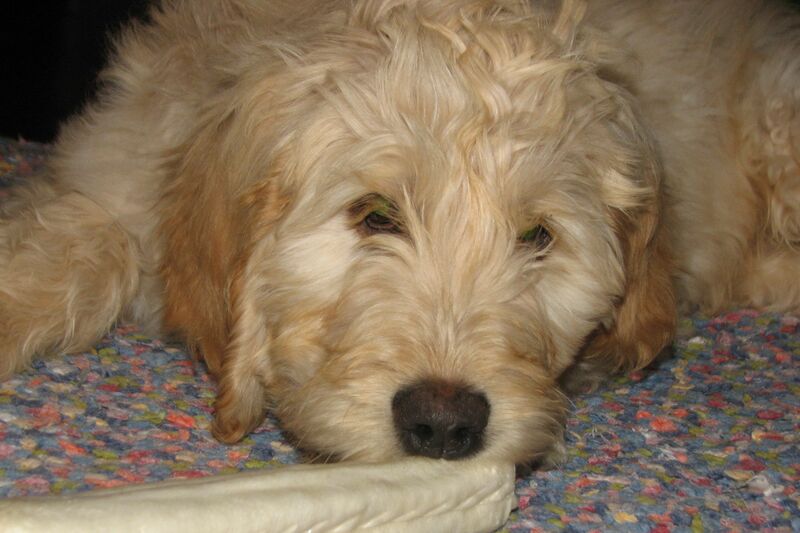 Some of the larger standard Goldendoodles have grown to more than 100 pounds. On the other hand, there are also the miniatures that weigh less than 30 pounds. 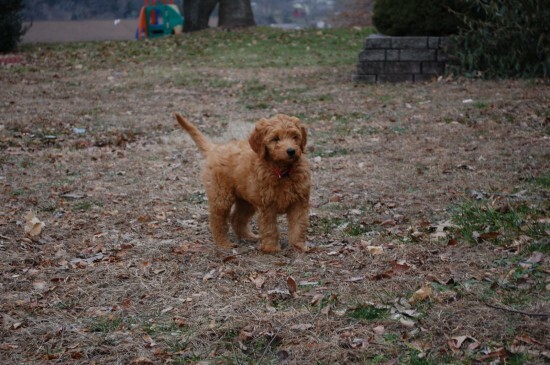 You can try to determine the average adult weight of your Goldendoodle by adding the parent’s weights and divide it by 2 but keep in mind that not all puppies will reach the projected weight. Some of them will grow heavier and others will end up below the predicted adult weight. This crossbreed has a lot of positive personality qualities such as having an accepting nature, being loyal and easy going. 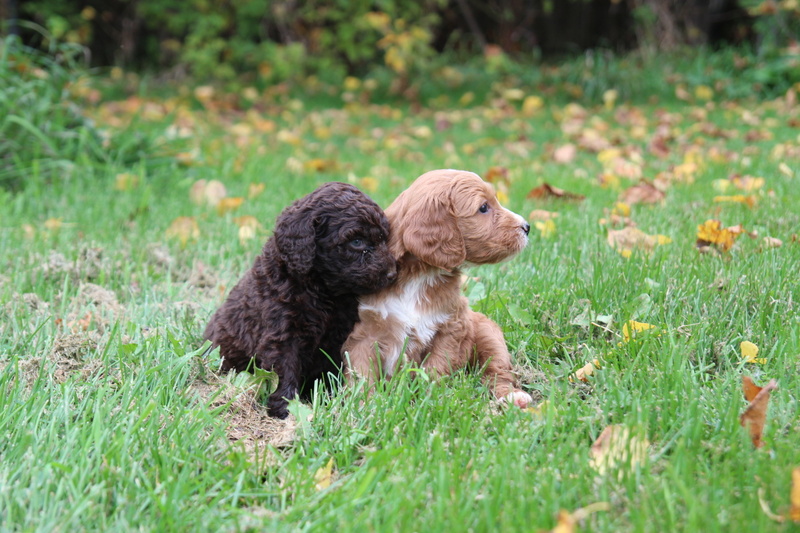 Their calm and obedient temperament makes them perfect for families with children and other pets in the house. 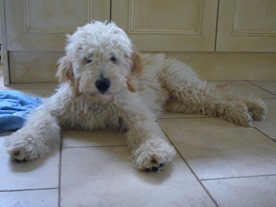 Goldendoodles are very affectionate and they most enjoy human company with whom they develop strong bonds. Because they are extremely friendly and so happy around people, they are also easily trainable. 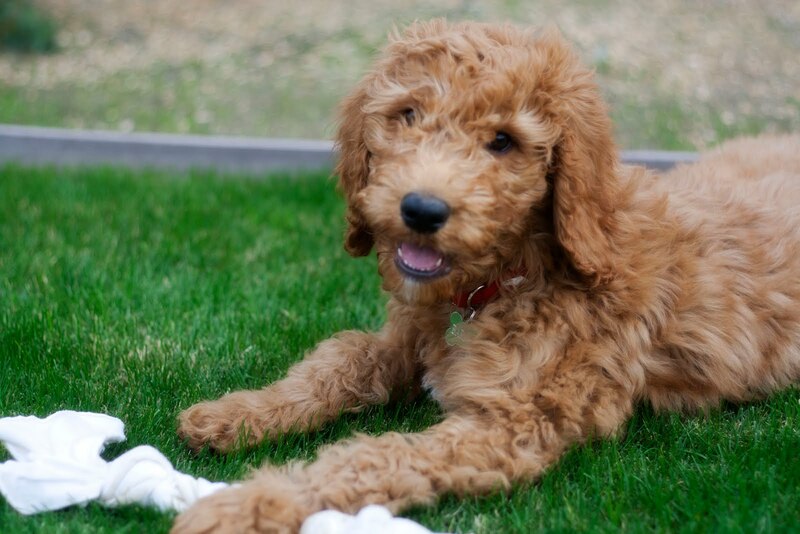 Just like Retrievers and Poodles, Goldendoodles are very intelligent, playful and love learning so you’ll be able to train it into a wonderful and skillful dog. The Goldendoodle is in general a healthy breed as most of the crossbreeds, which grow healthier and live longer than either parent line. However, you may want to be aware of the diseases these dogs are susceptible of. The health problems that Goldendoodles could have are some of the genetic conditions that its parents generally suffer from, like patellar luxation, progressive retinal atrophy or PRA, the VonWillenbrand’s blood disease, elbow dysplasia or CHD malformation. You shouldn’t need to worry about major health issues if you own or plan to buy a Goldendoodle but get them tested for hip, eye or vWD problems and clear them of particular conditions. These dogs require combing at least every few weeks to keep the coat in best shape. Its fur usually falls somewhere in between curly or wavy and needs clipping several times a year so it won’t reach more than 4-8 inches in length. This entry was posted in Golden Retriever Mix, Poodle Mix. Bookmark the permalink.